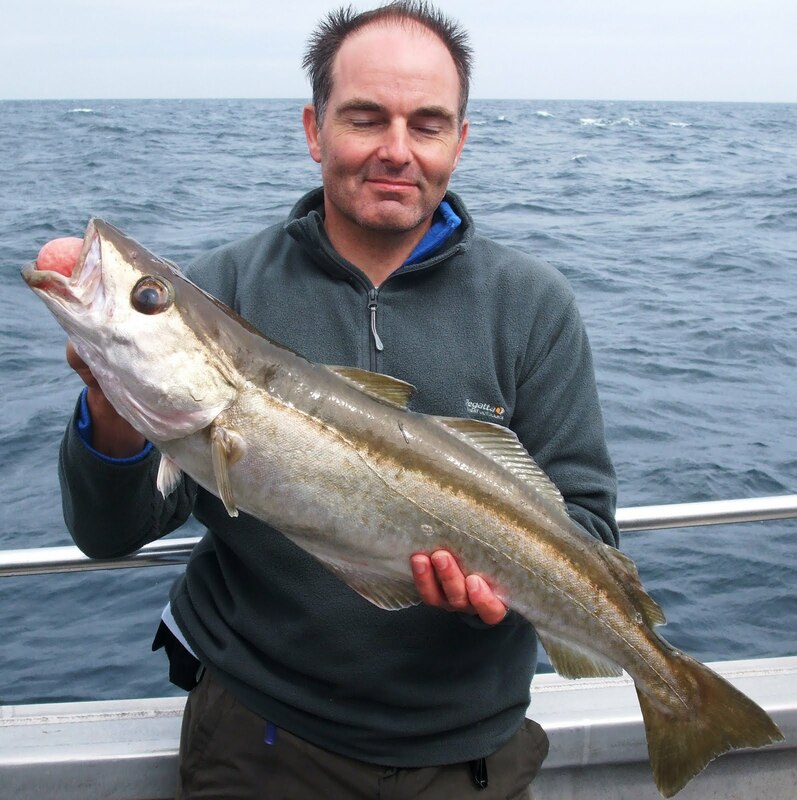 Fine weather and a neap tide and we are off 20 miles miles from Poole. 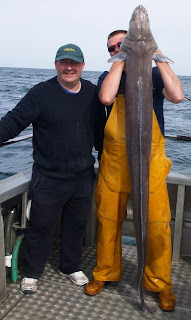 First a bucket of mackerel and then on to a wreck. 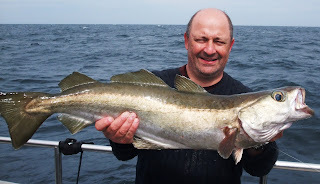 A dozen congers to 35lb an 3 nice bull huss to 14lb in the morning. 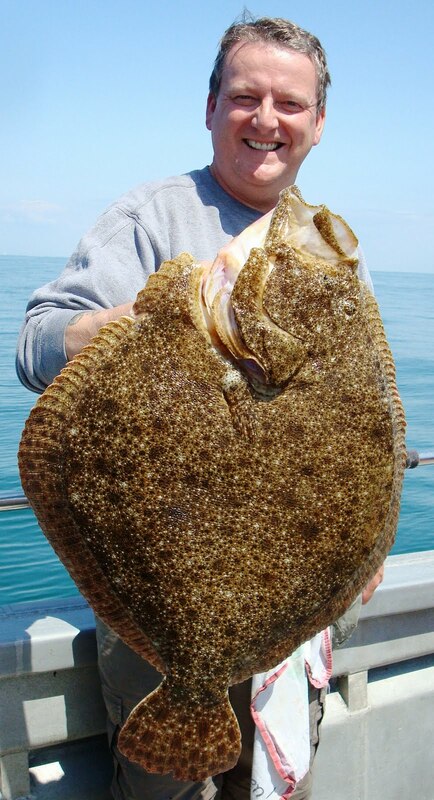 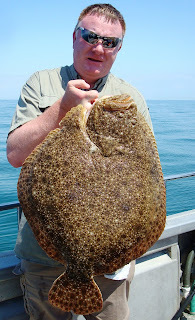 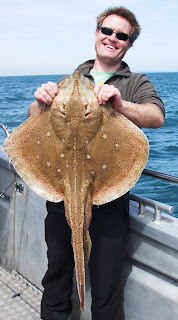 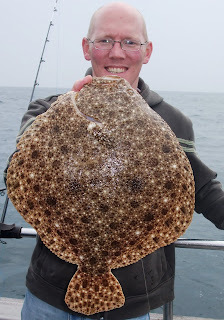 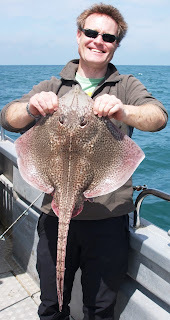 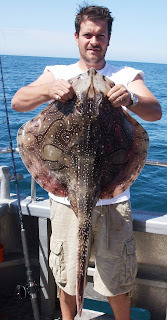 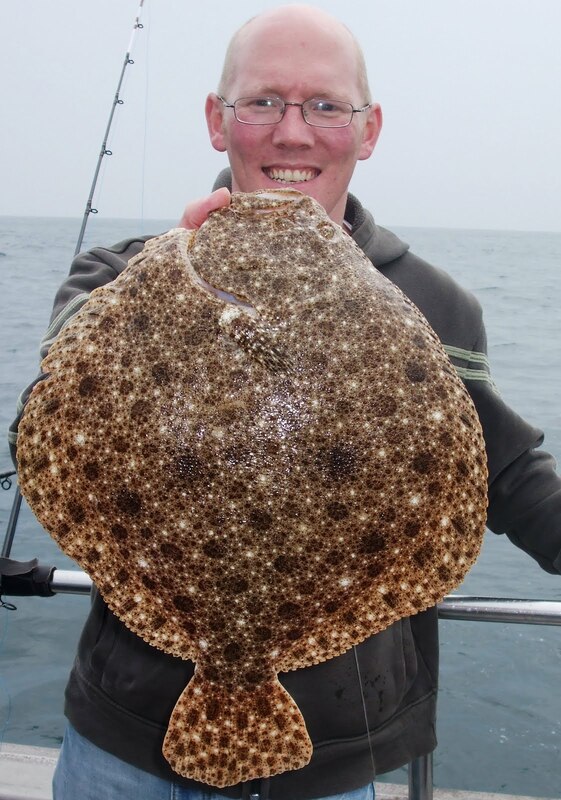 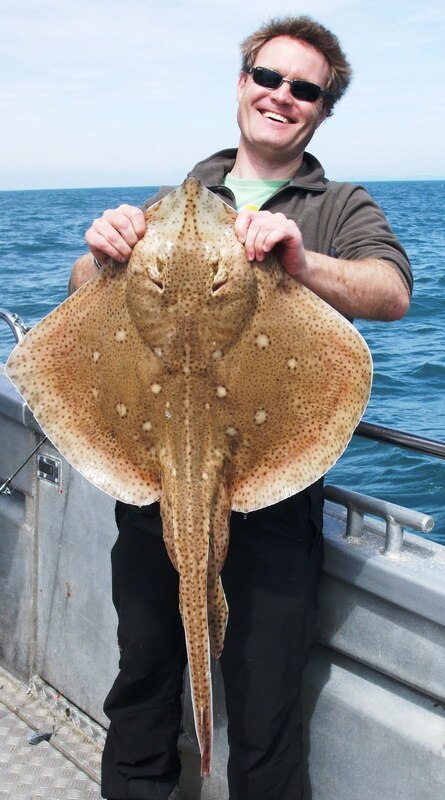 A bonus undulate ray of 16lb as the boat swung of the wreck. Off to a sandbank and the first fish up is a 27lb blonde. 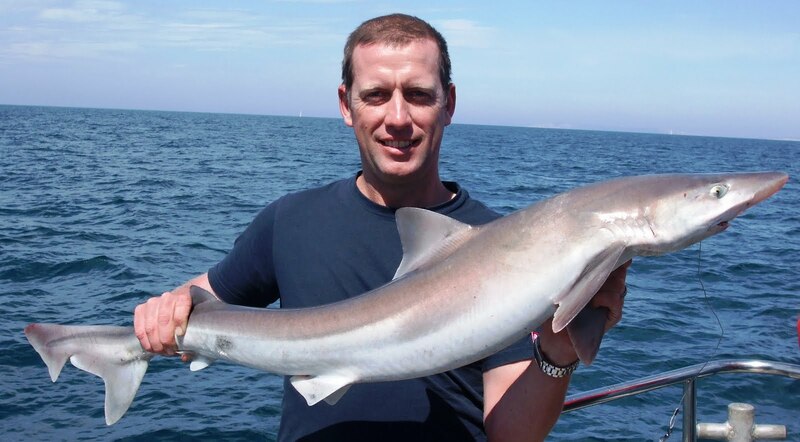 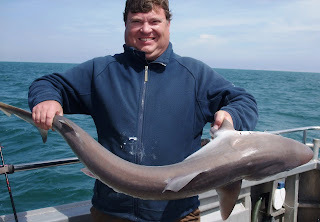 As the flood tide increased a dozen tope to 30lb. Lads and crew had a great day - all fish returned for another day. 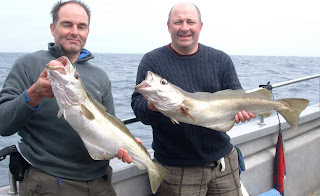 Lads coming agin in September! Our first 2 day long distance wreck trip with an overnight stop in Cherbourg. 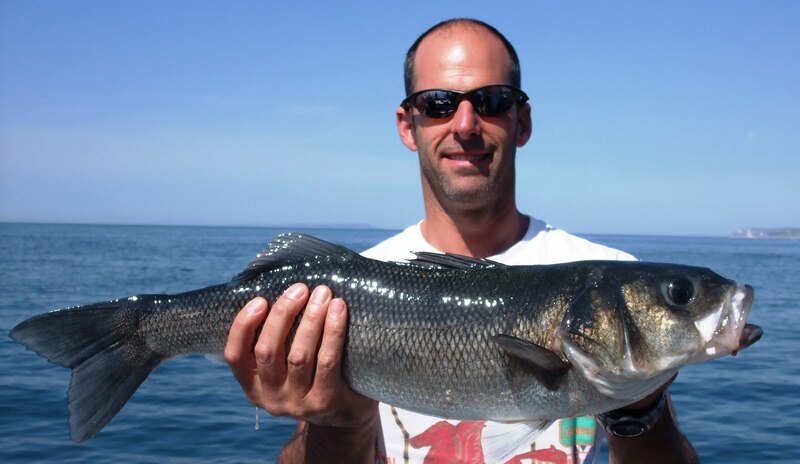 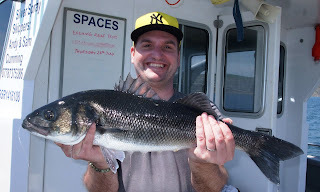 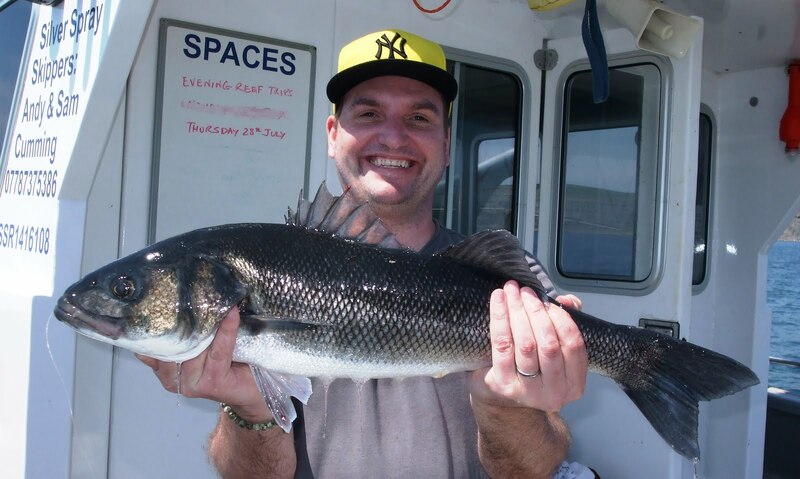 Fishing was good with cod, pollack, congers bream and bonus bass. 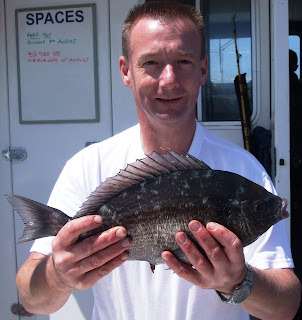 Lads liked the Diver bar, the Hotel du Louvre and restaurant. Easy morring on the pontoons in the marina. thats the bass Robin not you! 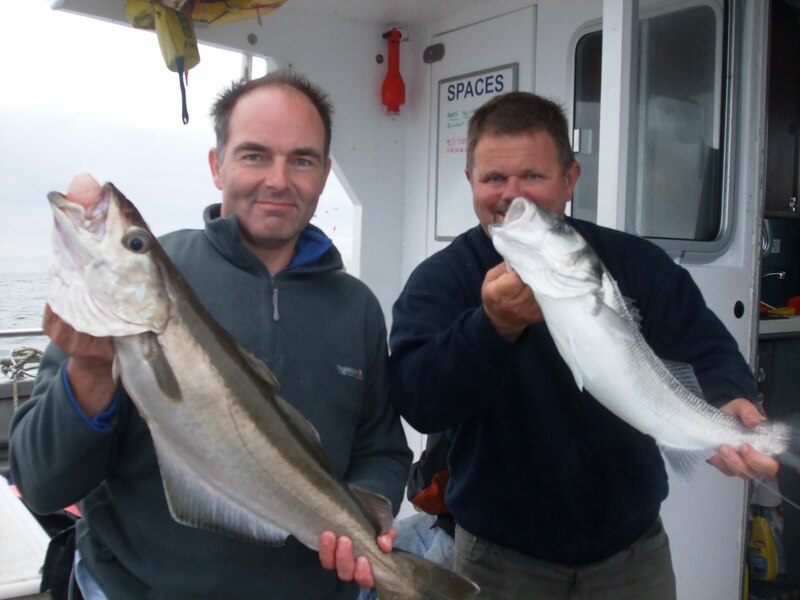 Alderney 5 went well with better weather being a contributing factor. 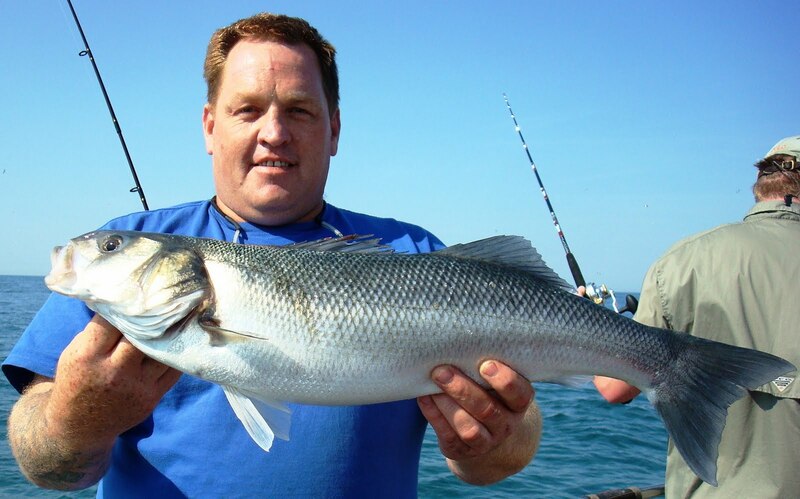 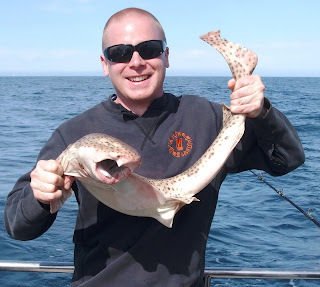 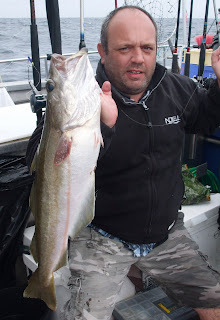 With just 4 anglers onboard fishing was comfortable and allowed the skipper and crew to wet a line at times aswell. 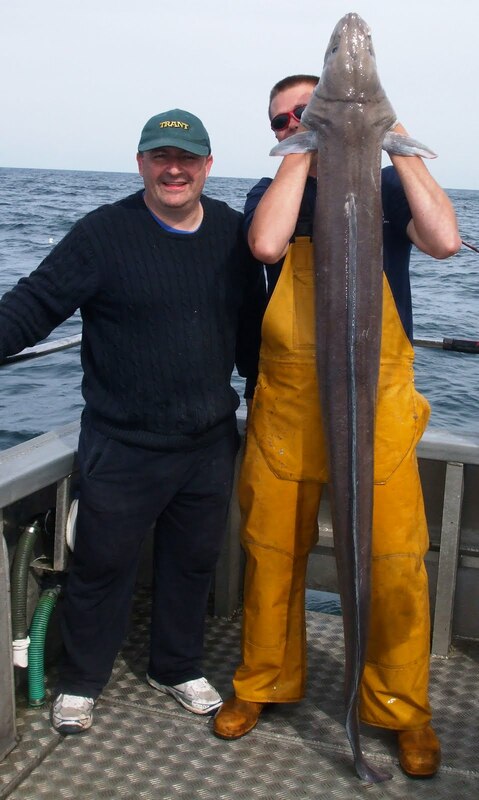 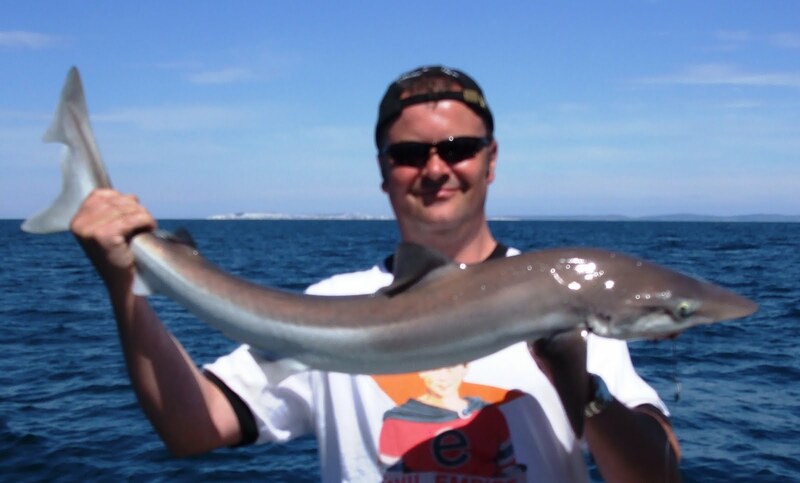 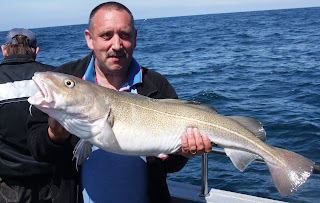 A good pick of species for the trip with the usual pollack cod and ling on the way over. 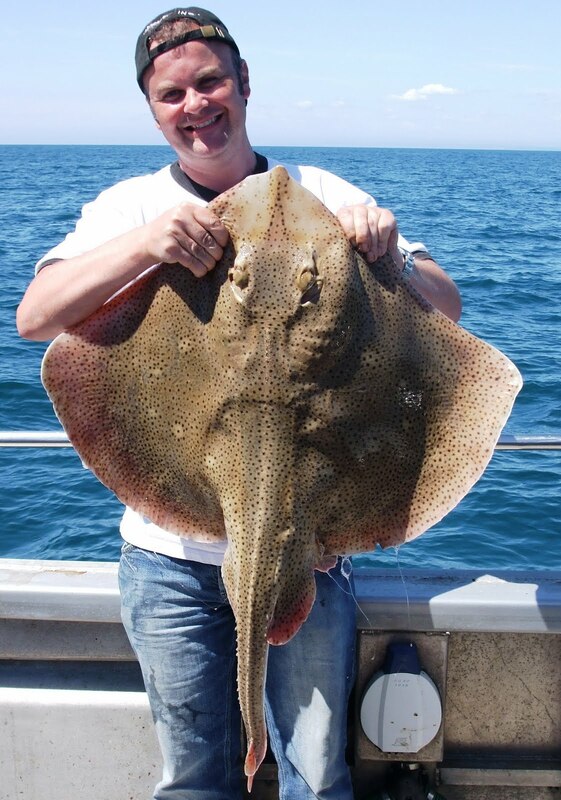 20 turbot and 5 brill for two days on the banks was spot on. The return journey was on a spring tide so we decided to head back and have a few drifts on the bass. 8 fish in the boat, 2 for each angler, and we called a trip.A very enjoyable four days all round. 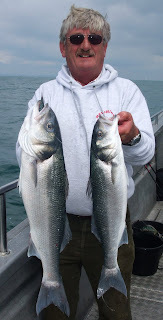 At last some settled weather and a spring tide. 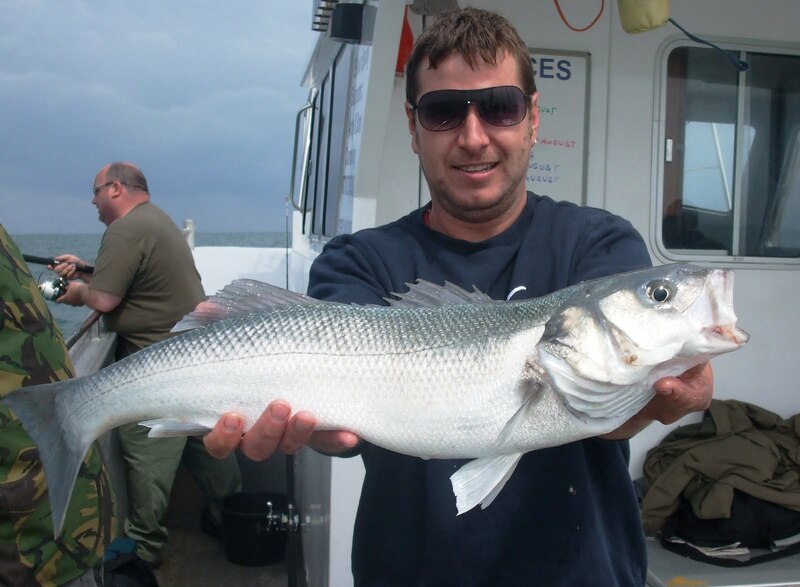 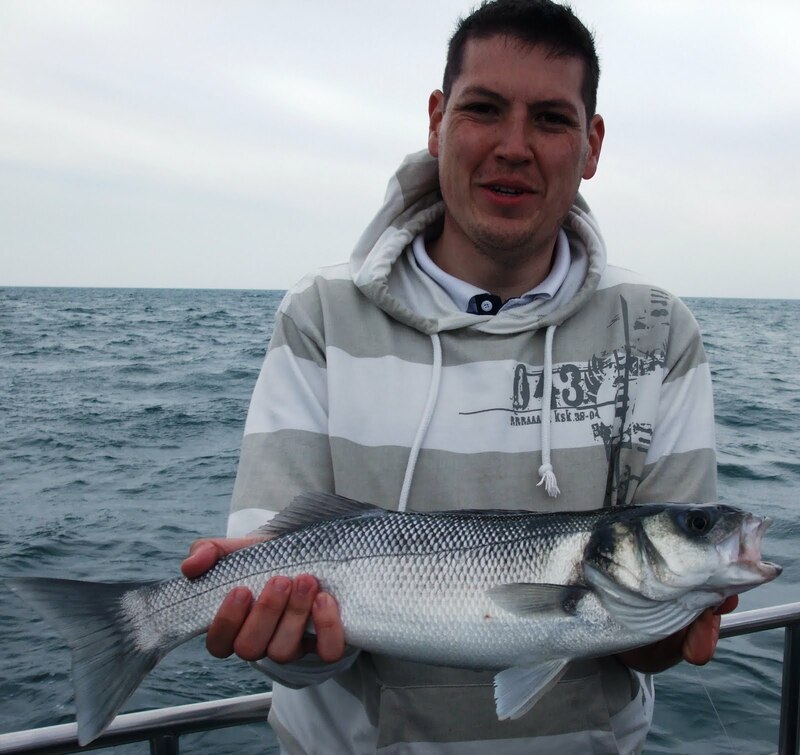 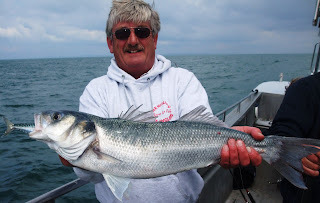 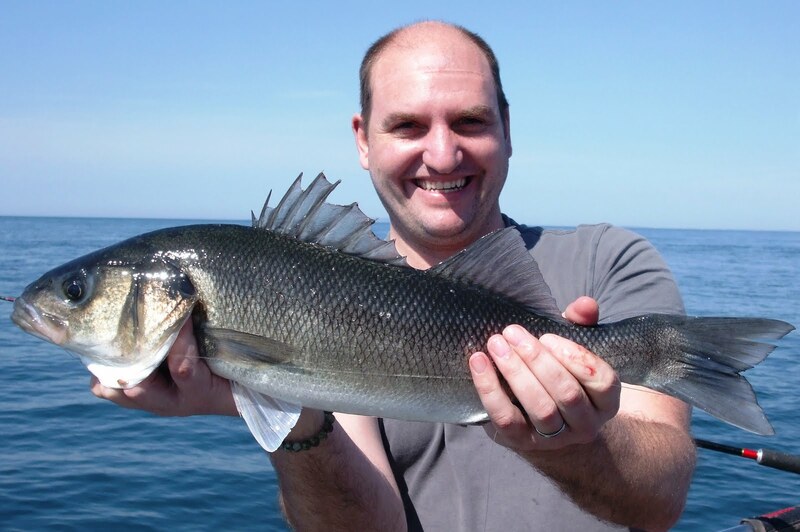 The gannets were diving hard and there was a good number of bass to 7.5lb. 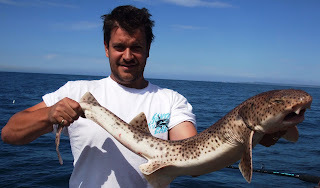 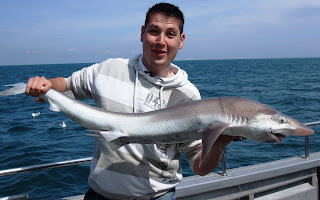 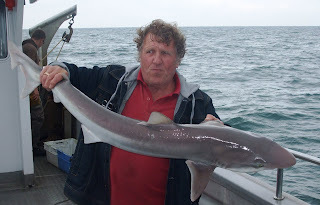 Even a lively tope on a live mackerel. 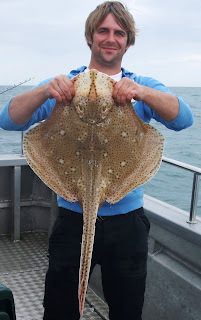 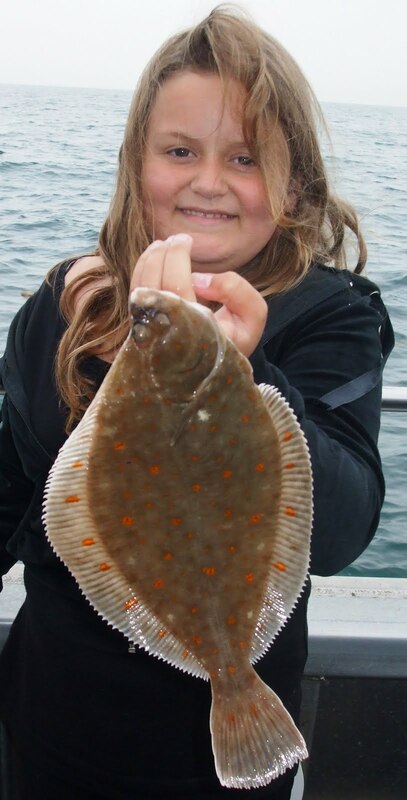 Put the anchor down over slack - no tope but a bonus 16lb turbot which took 2 mackerel flappers. Nothing beats the fish being hungry!